The NextGen Professional of the Year Award is designed to recognize the career accomplishments and community/organization involvement of funeral professionals under the age of 50. For years, the members of Selected's NextGen Group have proven that there are many talented and engaged funeral professionals in their 20s, 30s and 40s. The NextGen Professional of the Year Award is offered to honor their efforts. The winner of the Award receives complimentary registration to the next NextGen Seminar and a stunning crystal award, presented during a ceremony at the meeting. Check back this summer to download a nomination packet for the 2020 Award. Congratulations to 2019 Award Winner John Devaney! 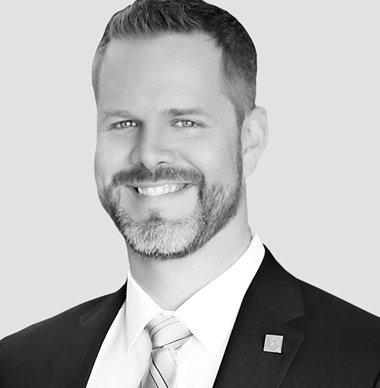 John David Devaney is a 4th-generation Funeral Director and the Vice President of Funeral Services at Baue Funeral Homes, Crematory and Cemetery in St. Charles, MO. Over the years, John has grown from an apprentice funeral director to Vice President of the firm. During that time, he has become a husband, a father, a valued team member, a mentor to younger staff members and a life-time learner that leads by example everyday. While balancing working full-time at the firm with his personal and volunteer obligations, John also earned his MBA that helped hone his business acumen and provide the tools to target and improve countless aspects of the business. Over the last two years, John took on two struggling businesses under the Baue brand and succeeded in creating profitability and stability for both. John brings his sense of fun into the workplace by ensuring staff teams have quarterly outings. From escape rooms to bumper cars, rock climbing to laser tag, John has been instrumental in the continued success of these programs. He also designed a new room for team members for private breaks and quiet times featuring relaxing chairs, sound barriers to the outside, and soothing scents and music. John also serves as the firm’s community liaison, media spokesperson, and MC for many of the programs that Baue hosts each year, including community grief programs, Holiday Remembrance, Seeds of Hope, and the Peace Officers and Veterans Memorial programs. “What makes John stand out from other successful next generation leaders is his community involvement. To lead a successful organization takes hard work and dedication. Actively engaging this same philosophy into the community is something to admire,” said Milva Finnegan, Contracts Manager & CEO of Karhu LLC. “John has been an active part of The Salvation Army Advisory Council for four years. His leadership during our Tree of Lights Campaign has helped us raise over $500,000 for our local community. Additionally, John spearheads a food drive each year during the Christmas Holidays that fills our food pantry and has helped so many families with children with their gift drive program, bringing Santa and his elves to entertain the children. He is an integral part of what we do in this community,” said Major Ron Key of the Salvation Army St. Charles Corp.
John received the Paul Harris Fellow Award from St. Charles Rotary in 2015 for his contributions to the Rotary Foundation and the Outstanding Volunteer Service/Business Leader Award in 2017 for the Jobs for Life Program at the Oasis Food Pantry. In 2014, John graduated from the Selected Leadership Academy as a member of the inaugural class. “John brought a lot of positive energy and helpful perspective as well as support to his classmates and all Academy members. John has also continued to be an active Alumni member,” said Academy Dean Marguerite Ham. John grew up in St. Charles, MO, and still lives there with his wife, Emily, and their two sons, Jaxon and Evan. 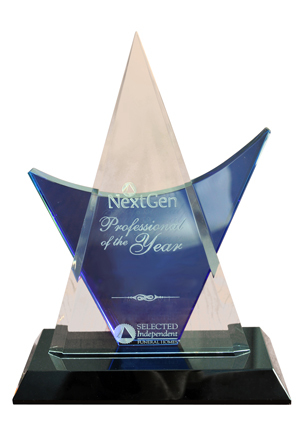 Click here for information on past winners of the NextGen Professional of the Year Award.